Referrals have been critically important to the outstanding growth of our organization over the past 15 years. Refer a friend to Activator Academy today by filling out our quick Referral Form. If they enroll for at least 1 month of lessons, you will receive 1 FREE lesson! There is no limit to the number of FREE lessons you can receive...so please help us spread the word about Activator Academy! In Partnership with CROYA , Activator Music Academy AND Side Door Studios Welcome You! 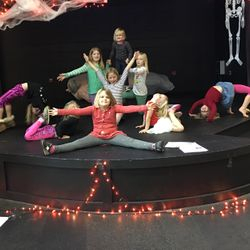 NOW ENROLLING FOR OUR SPRING 2019 PROGRAMS! We celebrate 18 years of service to LF/LB! Why Choose Activator Music Academy @ CROYA? We're proud of our history of exclusively serving the communities of Lake Forest, Lake Bluff, and Knollwood since 2001. 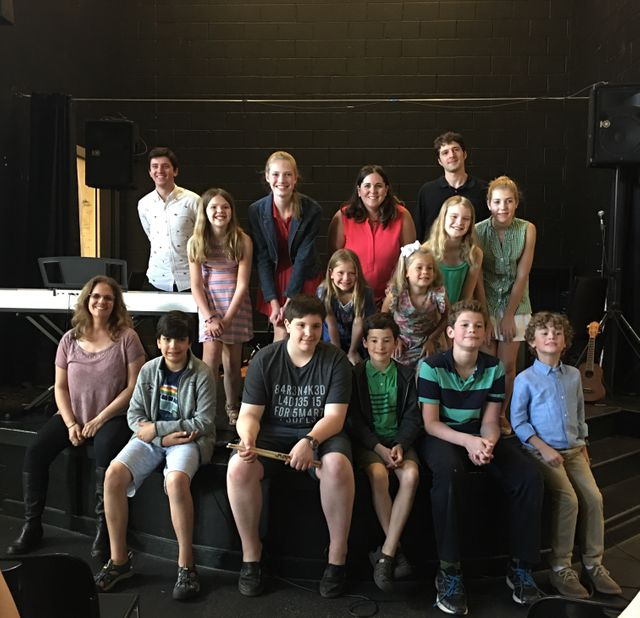 We held over 65,000 lessons, concerts, recording sessions with local youth and we strive to bring out the best in each student/musician by making learning and sharing music fun and exciting. The state of the art CROYA Student Union offers an amazing place for us to work with kids and a place for them to feel safe, creative, valued, and challenged. Our fees are affordable ($38 for 1/2 hour private and $70 for 60 min. 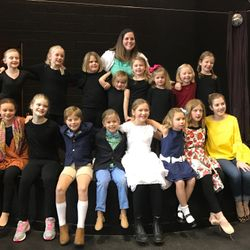 private) and our instructors are young, vibrant, and engaging. 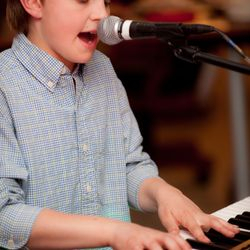 From the lesson suite, to the stage, to the recording studio...we strive to make every experience a great stop on the wonderful journey of learning and sharing music. CROYA has a 30+ year history of supporting and nurturing youth and our music partnership is unique and unlike anything else you will find locally. CROYA and Activator Academy would love to have your family join us! 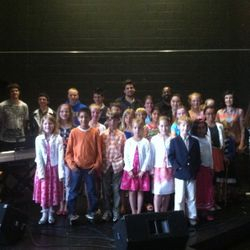 Our music programs operate year round and openings are very limited. 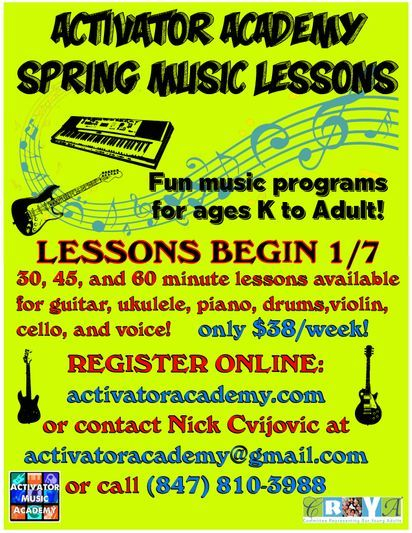 Email Director Nick Cvijovic at activatoracademy@gmail.com for openings and to schedule a tour. Visit www.croya.com and find out more about our awesome partner!